Gaco Western have been innovators in foam and coatings since 1955. 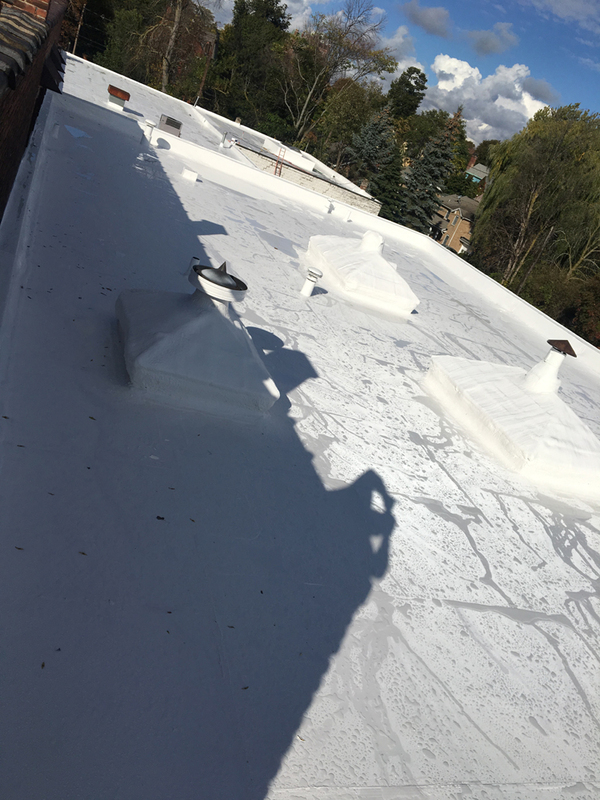 They are constantly looking for solutions to roofing problems and in the last few years have developed a very special coating to address re-roofing where spray foam insulation is not needed or when there are two or more existing roofs currently in-place and where NYS Building Code does not allow a third roof to be installed. 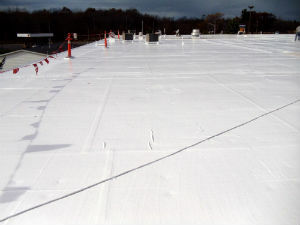 GacoFlex S-20 is a single-component, moisture cured silicone roof coating for commercial and industrial roof applications. 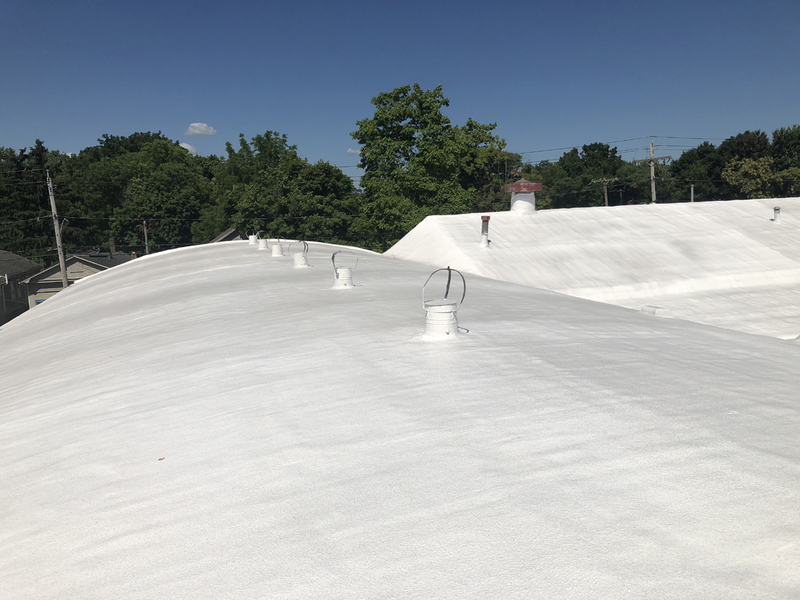 The product is petroleum and solvent-free so it is easier on the environment while still offering the same functionality as traditional petroleum-based commercial roof coating products. 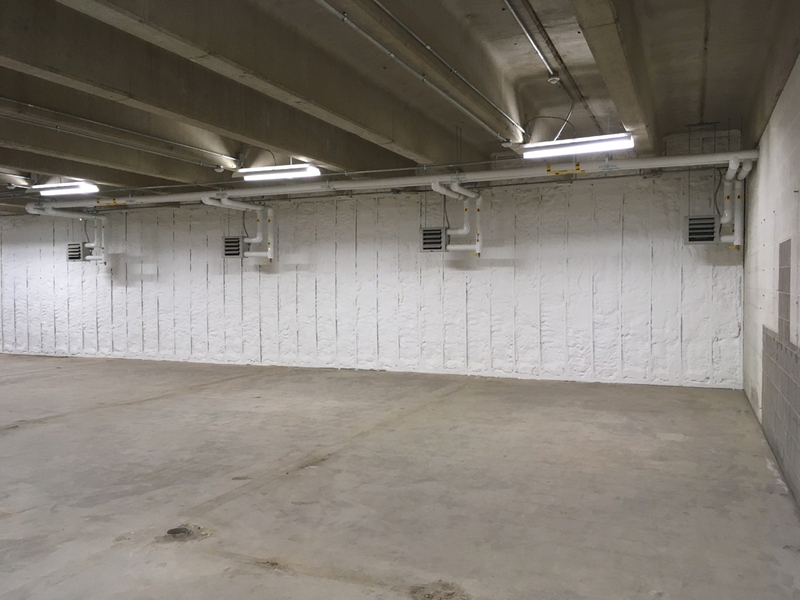 GacoFlex is a 95% solids elastomeric coating that creates a uniform, seamless surface remaining flexible even in low temperatures. It expands and contracts with changing weather conditions, protecting a roof's surface from the sun's damaging rays. This enables the coating to endure continuous thermal stresses over the lifetime of the roof. 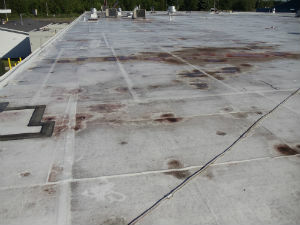 Replacing an existing, fully adhered or mechanically fastened EPDM membrane is costly and labor intensive. 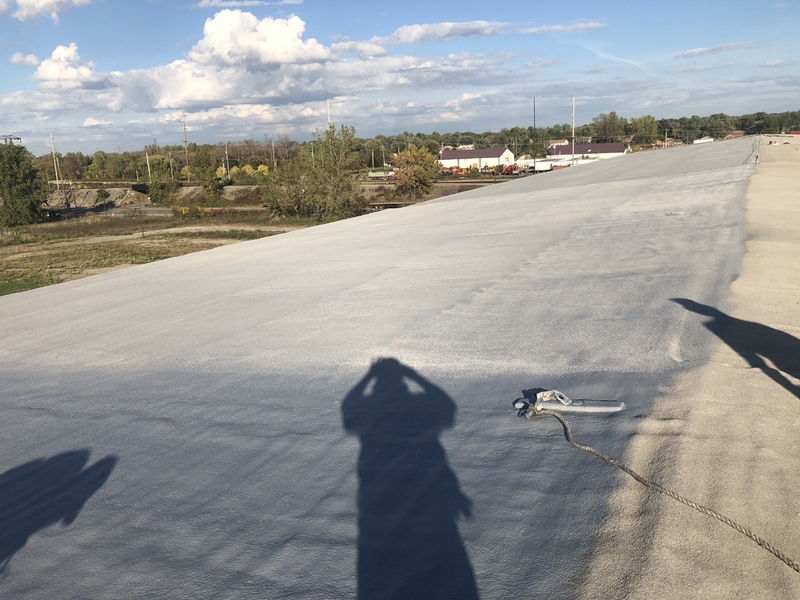 With GacoFlex S-20, an existing roof can be restored without incurring the needless expenses or interrupting the daily operations of a business. 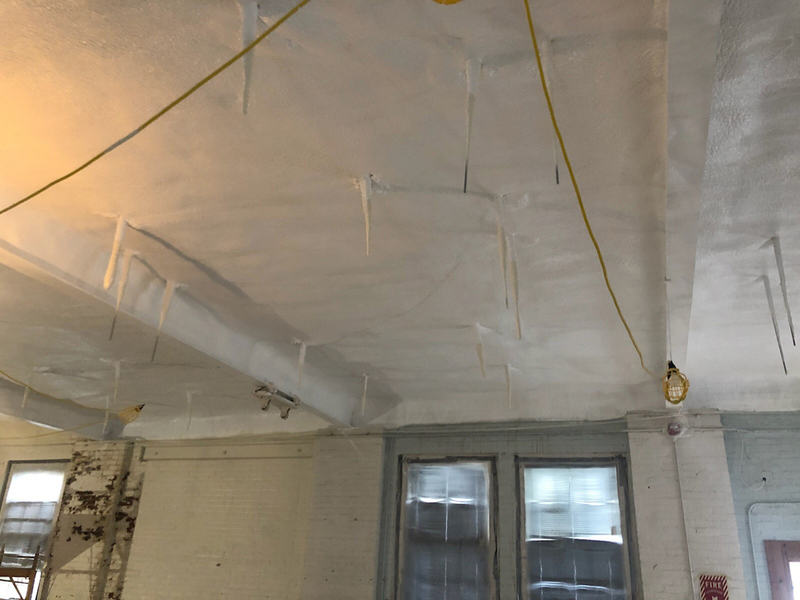 The product can also be applied to an existing roof without being considered as an additional layer for NYS code purposes. This eliminates the cost of disposal from a potential tear-off. 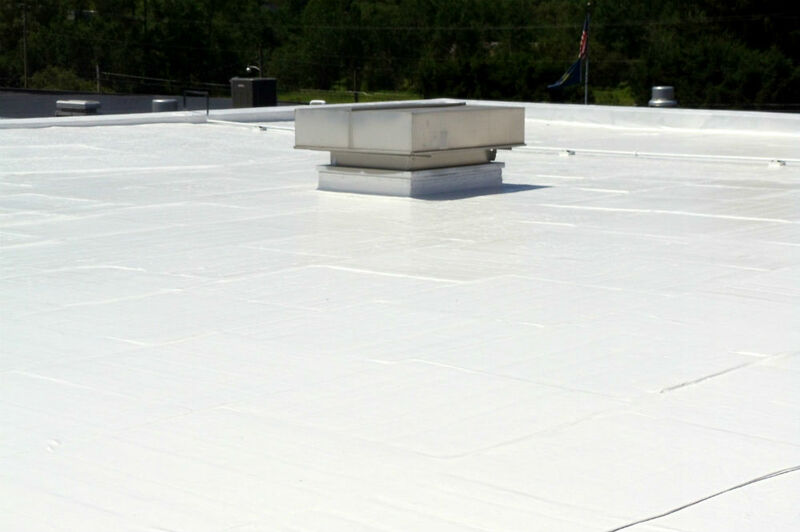 Roof coatings made with Acrylic, Urethane, or Asphalt can soften under the stress of ponding water. 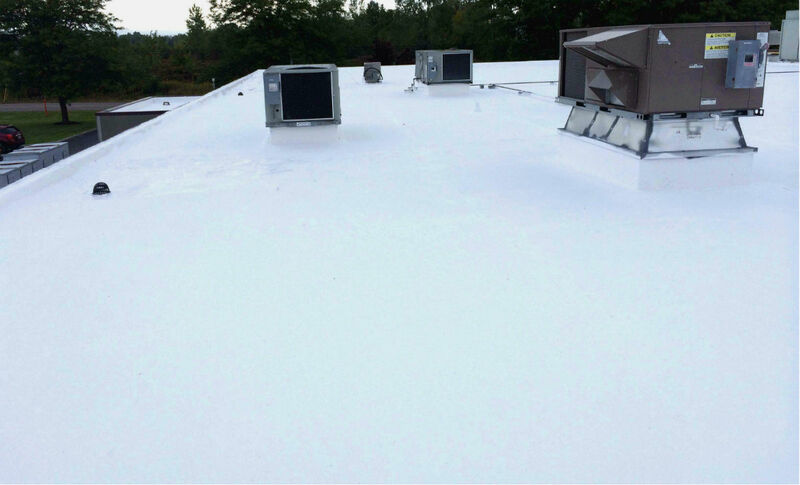 This can result in a coating that bubbles or peels away from the substrate; leaving a roof exposed to leaks and water intrusion. By comparison, silicone is an inert material that does not decompose - its unique chemistry creates a coating that will not degrade under ultraviolet rays or extreme weather conditions. GacoFlex has passed ASTM E 108 Spread Flame Test, is FM 4470 Class I Approved, has Miami Dade (NOA) Notice of Acceptance and is UL 790, Class A Listed - the highest level of fire protection available. Other ASTM Testing provided ratings for tensile strength, tear resistance, hardness, water immersion, permeability, reflectance, emissivity and flash point.